Listed on January 18, 2017 in Blogs! We have compiled a 2017 top 10 list of forthcoming University of Cambridge Institute of Continuing Education (ICE) courses at our home, Madingley Hall. Love it or hate it, everyone can identify a Pre-Raphaelite artwork. But what about a Pre-Raphaelite poem? This new course sets out to introduce readers to the contexts, theory and style of pre-Raphaelite poets such as William Morris, A C Swinburne, Christina Rossetti, Dante Gabriel Rossetti and several less well known poets. Taught through lectures, seminars and including a trip to the Fitzwilliam Museum, you will explore the less well-trodden paths of literary pre-Raphaelitism and discover new ways of approaching and appreciating Victorian poetry in context. Drawing on recently found evidence for there being a substantial and long-lasting Mesolithic presence in the pre-Stonehenge landscape, we will explore the evolving uses of this landscape through the Mesolithic period and examine the relationship between them and the later establishment of the Stonehenge ritual landscape. Is this presence the reason why Stonehenge is where it is – its discovery the discovery of the cradle of Stonehenge? Skilfully crafted, imagistically vivid and possessed of a ferocious energy, the best of Ted Hughes’ work confirms him as one of the finest poets of the 20th century. Through close analysis of individual poems, we shall explore his art, setting it in the context of his troubled but productive life. From Florence to New York, we trace the imaging of the city in western art: how it develops as the centre of commerce, consumerism and capitalism; a site of leisure, pleasure and tourism. In contrast, we will examine the negative, dystopian, aspects of the city as a place of alienation, isolation and anonymity inhabited by the dispossessed and the corrupt. Following recent BBC documentaries about British resisters against Nazism in the Channel Islands presented by ICE’s Dr Gilly Carr, she joins us on this day school to speak about the stories behind the cameras of the British men and women who were deported from the Channel Islands to Hitler’s prisons and camps on the continent. This Beginners’ workshop is part of a programme designed for those who want to learn Classical Greek. Students are introduced to the basic elements of grammar through reading passages adapted from ancient Greek authors. Why do weather and climate vary such a lot from year to year? How can events in the equatorial Pacific affect all the continents? In this introductory course you will discover how changes occur in various places around the world, and their impacts. The El Nino cycle has the biggest effect, and you will find out how it works and how it can be predicted months in advance. Bird watching is a hobby for a many people. This course looks at birds from a different perspective – their impact on humans. First through the arts: from Egyptian tomb paintings to Baroque composers and contemporary artists. 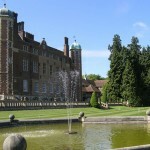 Then sciences, especially the study of bird song and other work pioneered at Madingley. Finally, conservation, much of which has been driven by the need to protect birds. This course explores Dante’s writing, focusing on the Divine Comedy. The texts will be discussed in translation and particular attention will be paid to medieval culture and and Dante’s influence on English literature, including Chaucer. The final session will examine the impact of Dante’s writing upon modern authors, including Samuel Beckett, T S Eliot and Seamus Heaney. Photos, paintings and moving images can be a useful way of unlocking the past. They can spark the writer’s imagination and offer clues about what our ancestor got up to. This friendly and practical course will use images as a way of encouraging you to tell your own true story through a mixture of research and imagination. 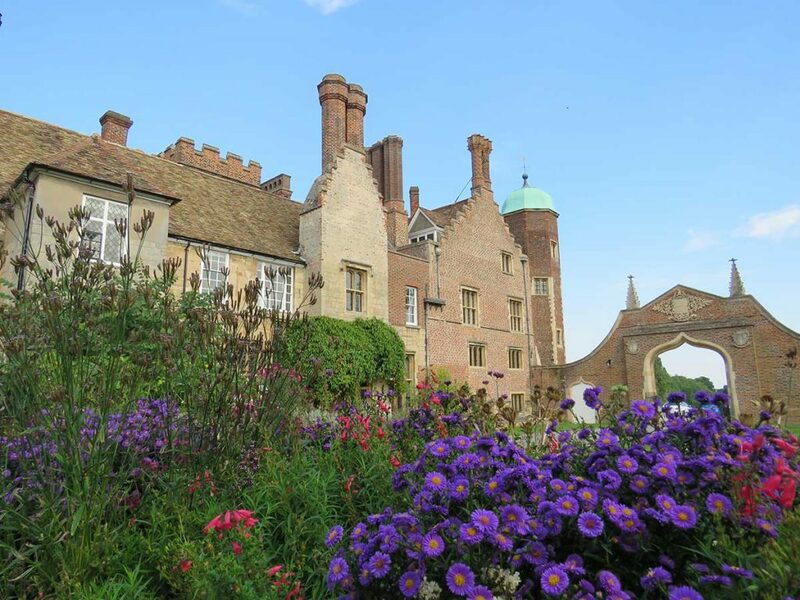 Madingley Hall is home to the University of Cambridge Institute of Continuing Education, which offers a range of weekend courses and many other part-time courses for adult learners, taught by leading Cambridge experts.